we are devoted to provide the most exhaustive and complete services for sea freight forwarding. Our sincere effort at all times is to simplify and resolve the complex issues related to international transportation and provide our invaluable clients a hassle free atmosphere so that they can always concentrate on their main business. We are one window solution for all your air freight needs. Our experts provide top-notch and time-definite air freight services that suit your budget. Our experienced personnel are available 24/7 to handle immediate shipment quotations and requests. We provide hassle free warehousing solutions in Dubai that are tailored according to your needs. We are a leading storage providers that lets you utilize little and huge storage space for your high-value goods that are kept in fully secured environment. Quality service in best rates is what we aim to offer for international sea freight services to our clients. We specialize in handling largest volume of LCL and FCL shipments and proficiently handle dangerous goods and their transportation all over UAE. Real One Shipping was established in 1975 and a prominent name as reputable freight forwarder. Real one operating from Dubai with experience by enhancing the field of all over Gulf Countries, India, Pakistan, Turkey, China and Afghanistan. We offering solutions for complex projects with our history of successful operations during the decades. Al Romaan General Trading head office situated in Dubai since 2008. Al Romaan establishes great business link with suppliers and buyers by continuously spreading the network worldwide. We trade in Olive, Sugar, Rice, Fresh Fruits, Potato, Mutton & Chicken Meat, foodstuff, metals, diesel, scrap, spare parts, leather & sports products. Janjua Transport offers Land Transport Solutions to traders within UAE and GCC. We successfully managed complex, high value and dimensional cargoes over the years with a fleet of Vehicles and also having great business relations with local transport operators. We targeting future upcoming projects of GCC and CEPEC with its complete infrastructure and expert teams. Moderen Management is a Business Management Consutancy Office established in 1997 at Dubai. Modern Management has pride of serving and providing consultancy to HR Department of Mashreq Bank, Al Ghurair Group 3M Gulf, Transmeed Inc. Saeed Al Makhtoum Group, City Tower REal Estate. Real One Shipping L.L.C is one of the leading international freight forwarding companies in UAE that has extensive experience in handling shipping of air and sea consignments, transportation of goods, and custom clearance services. We aim to exceed the expectations of our clients with world-class quality services at competitive prices. Considering the specific needs of clients, we provide custom-tailored sea freight services that have the capability to handle LCL and FCL shipments, break – bulk cargos, and charter shipments. We offer competitive sea freight rates to our clients so that they can experience quality sea freight services without spending a fortune. Our worldwide network of agents and extensive knowledge of UAE shipping industry makes us stand out among other sea freight companies in UAE. We pride ourselves as one of the top international freight forwarders in the region to offer you comprehensive services that mainly includes; sea freight forwarding, air freight forwarding, warehousing, transportation and custom clearance services. We have established strong relationships with custom bonded warehouses to provide speedy services to our clients all over UAE. We are one of the top freight forwarders in the region that regularly monitor the export and import restrictions and regulations of UAE to facilitate you with all your logistics needs. 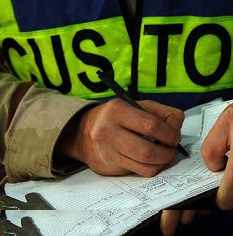 Our trained staff efficiently identifies the rapidly changing market demands and regulations of government agencies to assist you with acquiring any important permit or certification to keep your shipment moving. At Real One Shipping L.L.C, we are devoted to provide the most exhaustive and complete services for sea freight forwarding. Real One Shipping L.L.C is based in heart of the city in Dubai U.A.E. Pre-dominantly a freight forwarding/logistics company specializing in management of container shipments world wide & in particular imports from Far east and west to Middle East as well as export from U.A.E to MENA region. "Real One Shipping L.L.C is sole & prominent member of WFP representing Dubai - U.A.E., enjoying world wide freight networking partnership with various freight forwarding agents under the banner of WFP.